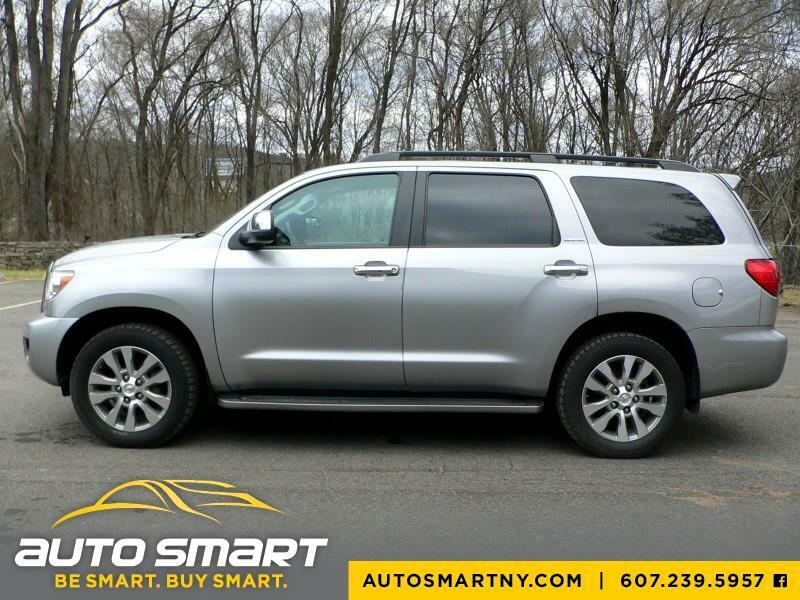 If you have been looking for a Toyota Sequoia for under $25K then you undoubtedly know how they are to find! Take a serious look at this Sequoia Limited with only 130,500 one owner miles! Featuring a silver metallic exterior finish that is complimented with a gray leather interior this Sequoia is the ride of all rides! This baby is stuffed up with dual power heated leather seats, factory sunroof, factory navigation, dual climate control, power third row seating, 8 passenger seating, privacy glass, power rear gate, premium wheels and so so much more! It has been professionally detailed inside and out. The exterior is clean with no dings, dents, scratches or damages of any kind! It runs and drives like incredible with its new brakes and nearly new tires all the way around! It has the factory owners manuals and the original factory window sticker of authenticity! This is one extremely nice Sequoia and it will make any person or family a truly excellent choice in an automobile! Read what others say about us on Facebook and take the trip to see us so you can win in a big way! "Be Smart -N- Buy Smart" at Auto Smart, LLC! All vehicle sold at Auto Smart, LLC come with a standard NYS Lemon Law warranty regardless of miles! You are always covered by an Auto Smart Guarantee! This Sequoia comes with a 30 day / 1,000 mile power train warranty!